Get your wellies on and go hunting for some leaves with your children! Please see the leaflet below for further details. Entries needs to be sent back to us by Sunday 30th November 2014. 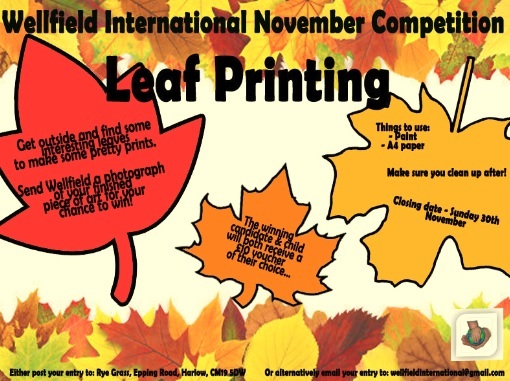 We are looking forward to seeing your leafy designs!